One of my favorite islands in the world is Bora Bora, I always feel so rested and relaxed after my stay and the blue lagoons are so mesmerizing! On one of my recent stays I had the pleasure of visiting the fabulous Four Seasons Resort, it is simply AMAZING and one of my favorites on the island. I hope you find it just as enchanting as I do. Bora Bora is a small South Pacific island northwest of Tahiti in French Polynesia. This beautiful and luxurious resort is surrounded by majestic views and nestled in a turquoise lagoon with pristine sand-white beaches. Enjoy swimming the coral reef or take in the breath taking- view from the lofty heights of 2,300-foot Mount Otemanu. The beachfront villas are perfect for family or group getaways and offer you an inclusive experience, with meals, select activities and other services and amenities included. Each villa includes a private swimming pool and guests staying in the villas receive the highest level of personalization and pampering. 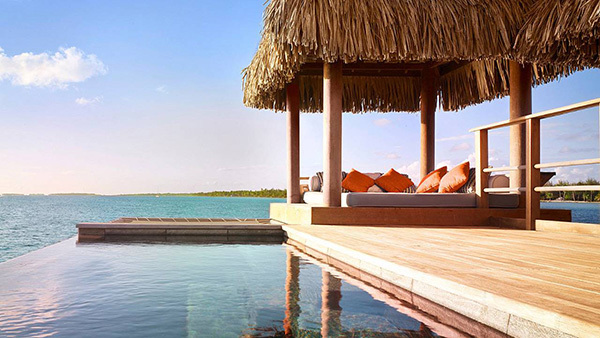 If you are looking for romance, consider one of the overwater bungalows perched on stilts in the beautiful blue lagoon. Take a dip in your personal plunge pool as you watch the sunset. The Four Seasons Bora Bora includes a fitness center with state-of-the-art equipment featuring weight machines, free weights and an over-water sunrise yoga platform. The holistic spa offers a variety of signature therapies to soothe your mind, body and soul. You can also partake in many fun activities including paddleboard, kayaking, snorkeling, scuba diving, shark and bat ray feeding and much more. At every turn, the attentive staff and resourceful Concierge are on hand to meet your needs. You will be spoiled by personalized service as the staff attend to all your needs. 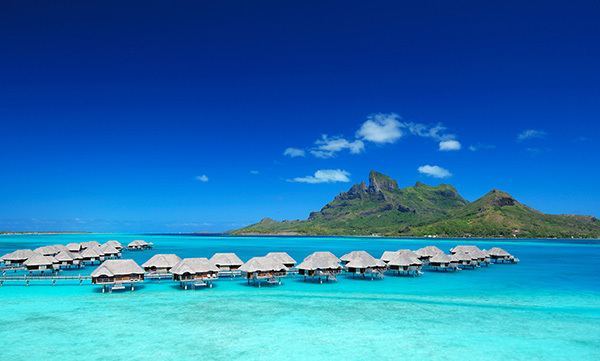 Ready to book your vacation to the Four Season Bora Bora? 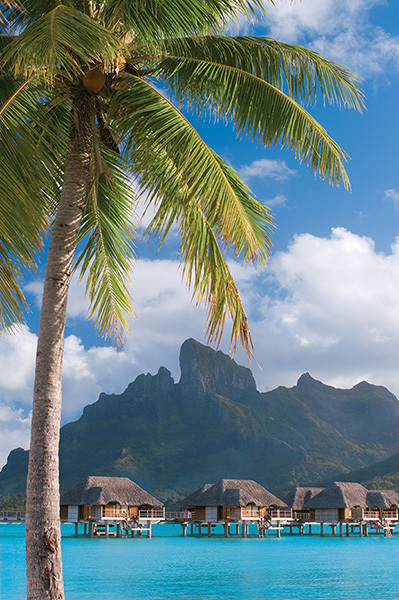 Be sure to give luxury travel advisor Margi Arnold a call to discuss your Bora Bora vacation. With over 25-years’ experience in the travel industry Margi, is an expert that will help you personalize your trip and will ensure a worry-free vacation. Start by completing a vacation request or call Margi at 888-568-4432.